We created a page here and will post your comment (with your name or not, you let us know). We will update every 36 hours. 10 days before the race we make a poll for all visitors to decide which one is the best. The winner get’s a small gift from us IF he comes to La Paz with the race. 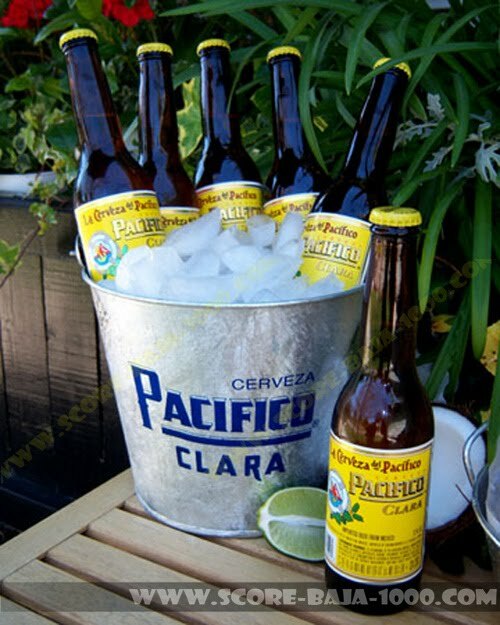 A Pacifico branded galvanized bucket full of Pacifico Beer Bottles in ice. The locals call that a “Cubeta”. (You keep the bucket lol) if you a nice person we help you drinking it and refill a few times…..
And sorry it’s such a small present, if we get Grupo Modelo to sponsor us we make it more…..
Make it fun, keep it clean, be creative!! We not mind some wicked humor if it has to be. Keep in mind the rating for the best Baja 1000 reason will be done by the website visitors, not us.